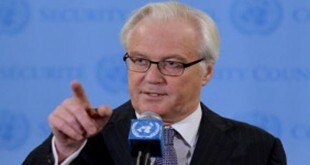 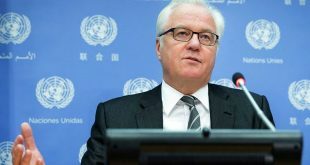 New York, SANA- Russian Permanent Representative to the United Nations Vitaly Churkin announced on Wednesday that Russia and China submitted a draft resolution to the UN Security Council on preventing the use of chemical weapons by terrorists in Syria. 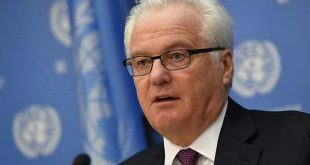 “We have presented the Russian-Chinese draft resolution on taking a harder line against terrorists who are getting ready to use chemical weapons in Syria,” Churkin said to reporters. 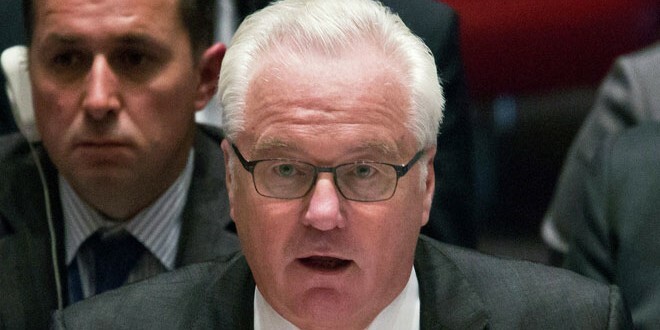 On Tuesday, Russian Foreign Ministry spokeswoman Maria Zakharova condemned the use of chlorine gas against civilians in Aleppo city in Syria by “Jaish al-Islam” terrorists, expressing Russia’s regret that the West refuses to react to the use of chemical weapons at the UN Security Council.